Seriously, though ... huge shoutout to my favorite people over at Mixbook for helping me make things happen when time totally gets away from me! Putting these cards together online seriously took all of 10 minutes. The hardest part was figuring out which photos I wanted to use! We typically have a ton of options from shoots we've done throughout the year, but we haven't had a chance to get any professional photos taken since Emmy girl was born! And now I'm officially adding that to my list of things to do before this year is over. So, if you're a last minute gal like me, hop to it! Like I said, it's a crazy simple process to get your cards designed and ordered, and they were literally at my doorstep in 2 days. They created a sweet little discount for all of my readers too, so don't forget to use the code "FROSTY" and you'll see (up to) 50% off float right off of your total at checkout. Well friends, that's all I have for now! I'm working away over here with a sleepless and teething babe to get a new video out for you guys (and in case you missed it, here's the scoop on that! ), and our Christmas living room reveal will be up here on the blog soon, too (here's last years if you want to check it out)! I'm seriously so stoked to share both of these with you guys. There may or may not be a corner in my living room that is my DREAM aesthetic ... For real, I'm pretty sure it could be on the homepage of Urban Outfitters, and that in and of itself just makes my heart happy. ðŸ˜� And on that note, Merry Christmas from our little family to yours! We appreciate you all more than you'll ever know. P.S. 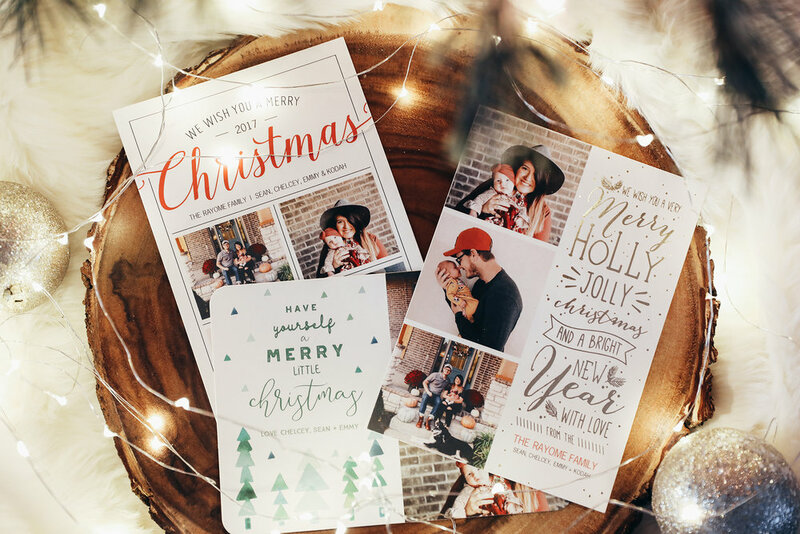 You totally still have time to order and get your cards out in the mail! 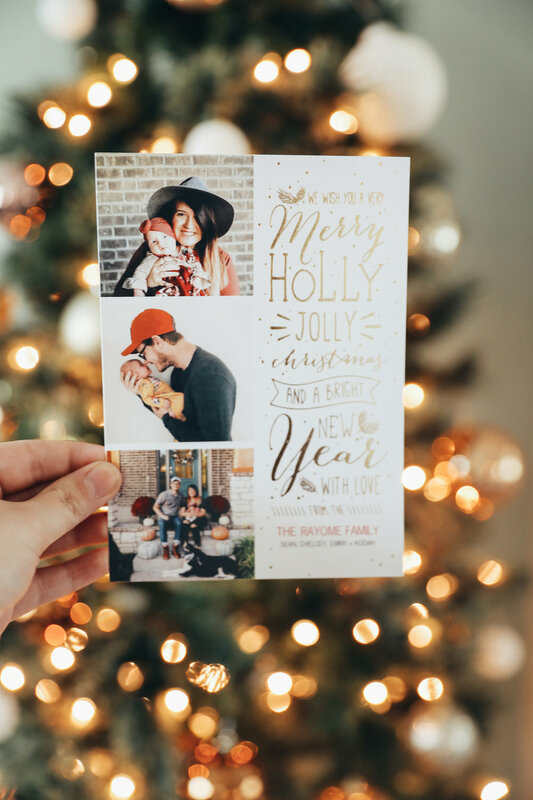 Place your order on Mixbook before December 18th for guaranteed delivery before Christmas, or you can choose from some of their New Year's Card options, too! This one and this one are my favorites!